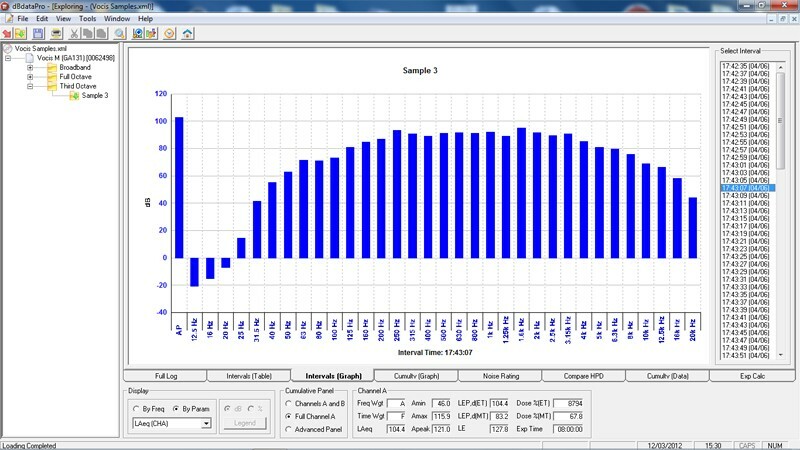 Download logging data from the Castle range of sound meters into one place. dBdataPro gives you quick access to all your data and allows you to analyse data and export for reporting. For use with Castle Vocis and Sonus sound level meters. Castle produces a well known range of high class data-logging instruments for measuring Noise, many of which have a built in PC communication facility via RS232 or USB interface. To make full use of this feature, a new range of PC software has been developed which will provide the user with the ability to manipulate and use data in the most flexible way using the full potential of Windows.. Simplicity is the key to the flexibility that this software offers. Once the program is open, one mouse click is all it takes to start acquiring data from the instrument. Options are then presented to the user about how much data and which types of data to acquire thus giving control to the operator. 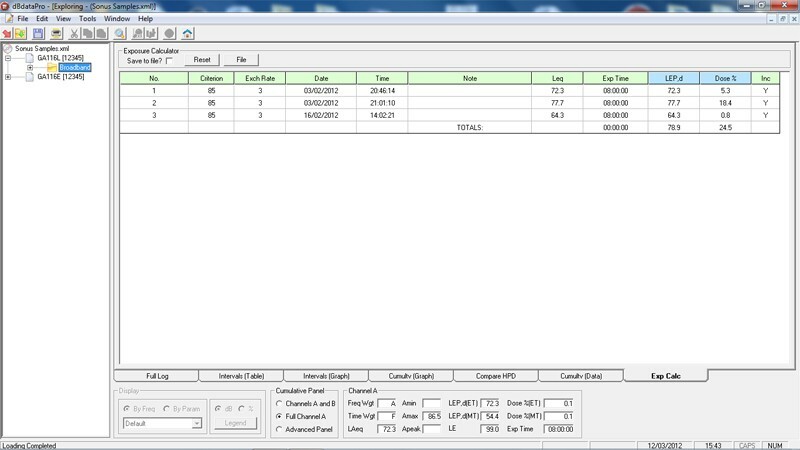 Once the data is in the PC, displaying the information in either graphical or tabular form could not be simpler. The ‘explorer’ pane on the left of the window shows the structure of the data and simply clicking on a data item will display a graph in the right hand pane. Getting the data to the screen of your PC is only the beginning and this is where the power of dBdataPRO really starts to come into its own. Within the program itself there are a number of options for manipulating data, for example. 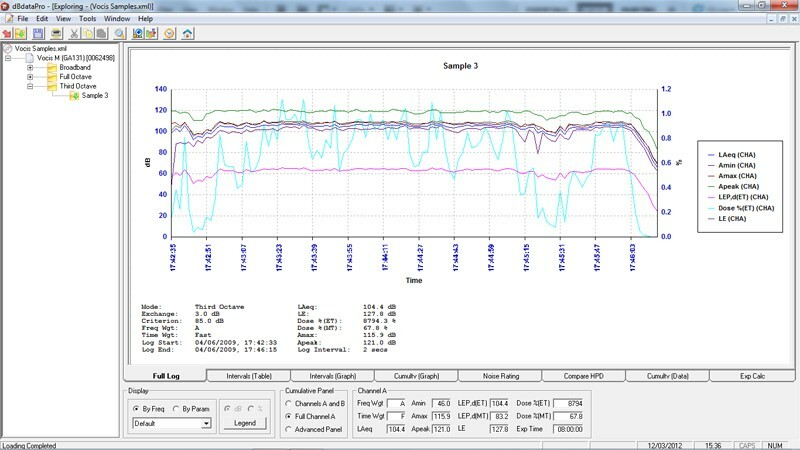 The Multi-view system allows you to tailor the dataview to exactly what you want to see. You can merge data taken with different instruments or on different occasions. You can even print out a report, which has your own company logo and name on it. You can change the frequency weighting for 1/1 and 1/3 octave data. 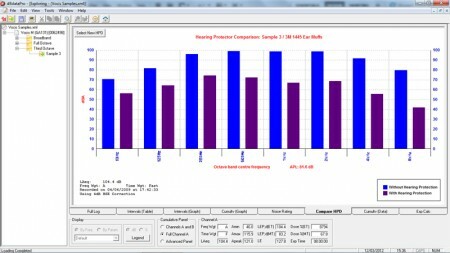 You can carry out automatic hearing protection attenuation assessment and there is even a dose calculator for assisting with those tricky noise at work exposure formulae. What is more, all of this is available at the click of your mouse. Possibly one of the most powerful features of this software is the fact that you can use the tables and graphs in any of your other Windows software packages such as word processors or spreadsheets. The process is once again incredibly simple, as all you have to do is click on ‘copy’, go into your other software, open a document and ‘paste’ the data straight in Modular Software. You can even have the option of pasting a table of data, an editable picture or a bitmap, so you can tailor your reports to the way you want them! 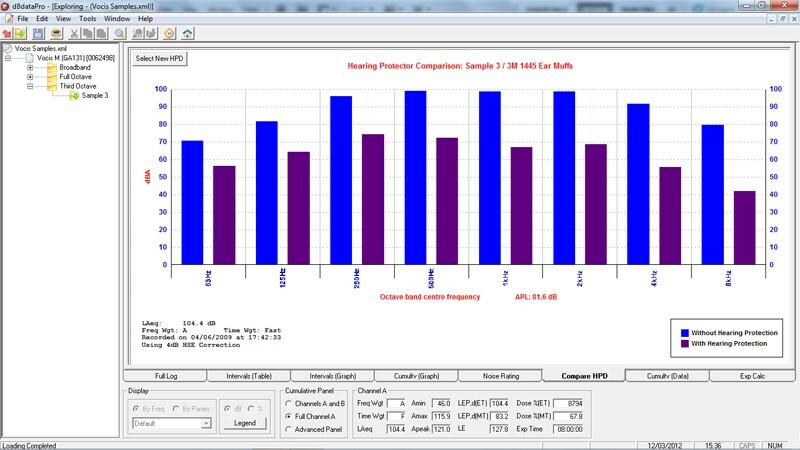 Another very useful feature of dBdataPRO is the Hearing Protection attenuation Database which allows you to download measurements from your Sound Level Meter and then test out various hearing protectors to gauge there effectiveness for that type of noise environment according to the Noise at Work Regulations. Doing this gives you a detailed analysis graph and therefore evidence that you have selected a ‘suitable’ ear defender. The picture (right) shows a measured octave band compared to E.A.R. Classic Soft ear plugs. 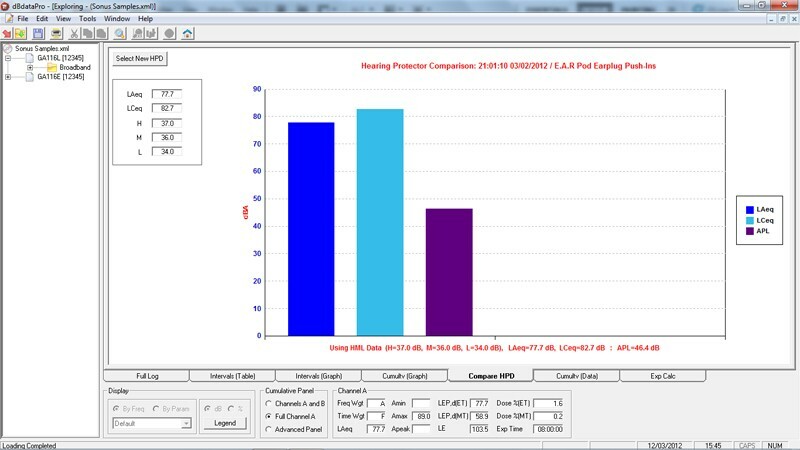 You will see that the software is saying for this sound environment, those protectors will reduce the level from 96.7dBA to 66.2dBA. This process certainly takes any hassle out of what could otherwise be a time-consuming task. For conducting Noise at Work risk assessments, it can often be necessary to combine sound exposure from various tasks carried out by an employee. This involves calculating the exposure (Lep’d) for each task with one formula and then combining them with another formula. This can be time-consuming and there is potential for error. With the dBdataPRO DoseCalc, it is a simple task to take readings from any number of measurements and put them into the table shown (right). This will then calculate the exposure (Lep’d) for each task and will also give the combined daily exposure. Minimum Hardware: Pentium® Processor P200+ or compatible 100 MB Free Disk space, 32 MB RAM 1 Free RS232 25pin Serial Communications Port or 1 USB port (with USB to serial adaptor) Software: dBdataPRO will work on the following operating systems. Windows® 98, NT, ME, XP, 2000, Vista or 7. If you have an alternative system, please call us to find out.